Remember when you came home after a tough day at school and mom made you a batch of cookies that just seemed to make everything better? Well, now you can repay the favor. 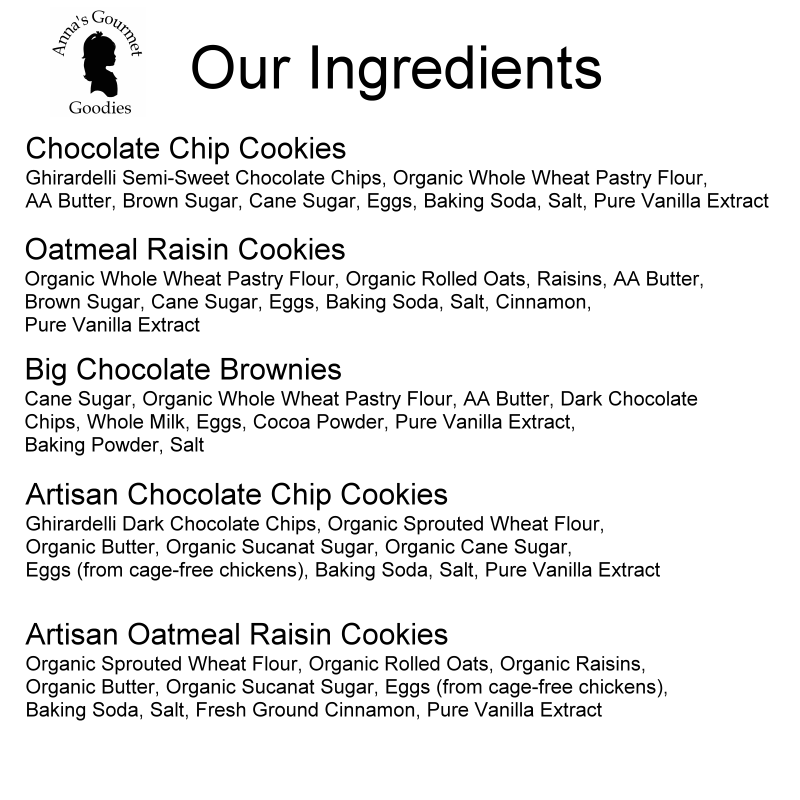 Our gourmet cookies are made from 100% organic whole wheat pastry flour, AA grade butter, farm fresh eggs and pure cane sugar. No additives, preservatives, extenders or other such nonsense in these incredibly delicious homemade treats - just like mom would make herself. Just add milk and enjoy!